For those who hike, ski, hunt, and generally enjoy the mountains of Maine, here is a different sort of reference book. 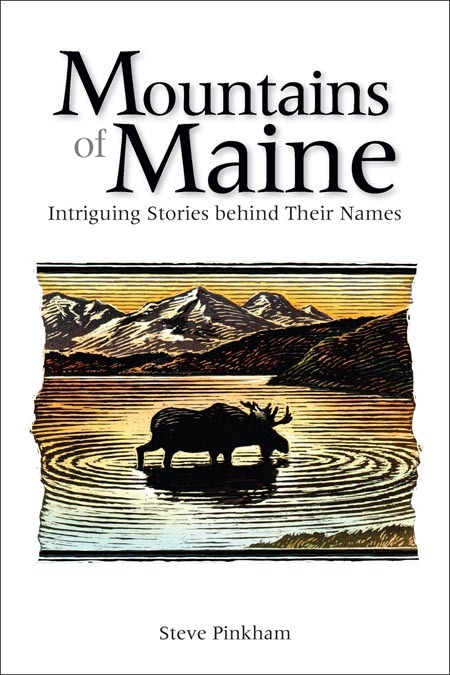 Mountains of Maine provides readers with concise accounts of all significant peaks and hills across Maine highlighting natural features, origin of place names, intriguing bits of history, and local legends. Author, Steve Pinkham, also offers sidebars about selected trails, towns, and other points of interest. How did a mountain get the name Moose’s Bosom? Why is another called Picked Chicken Hill? Was Smart Mountain named for a local Einstein? And what’s afoot on Toenail Ridge? Mountain trekker Steve Pinkham provides the informative and sometimes surprising answers in Mountains of Maine: Intriguing Stories Behind Their Names.